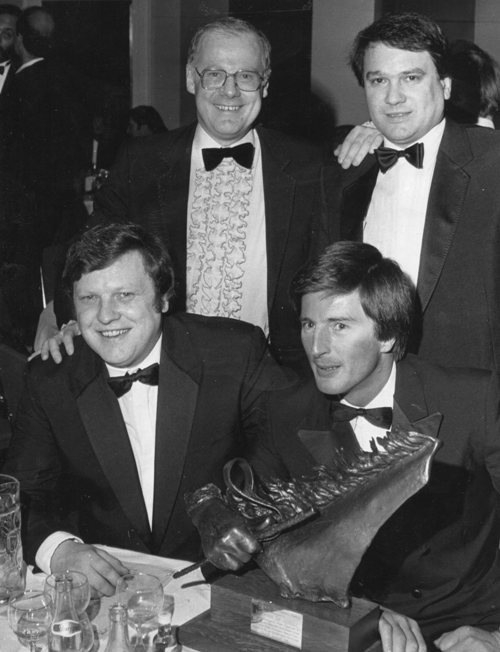 The brothers were invited to the dinner by Budweiser for selling the most bottles of Bud in Yorkshire at Johnny's Disco. 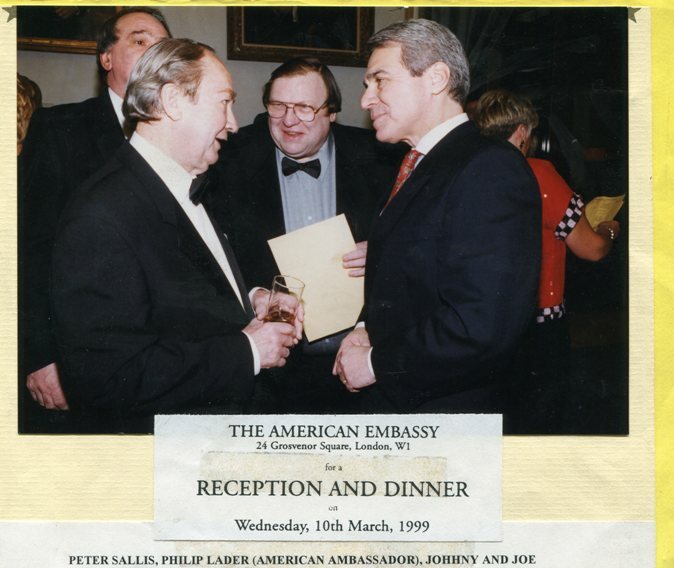 They took Peter Sallis as their guest. 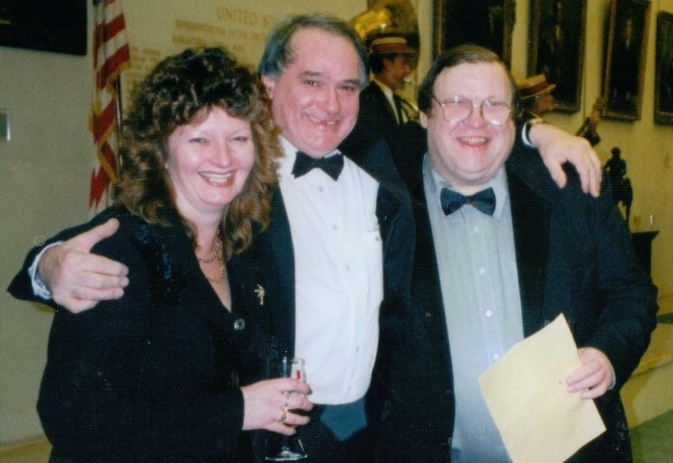 2203121406 - Angela Johnny and Joe after the Embassy Dinner ready to hit London by nigh. 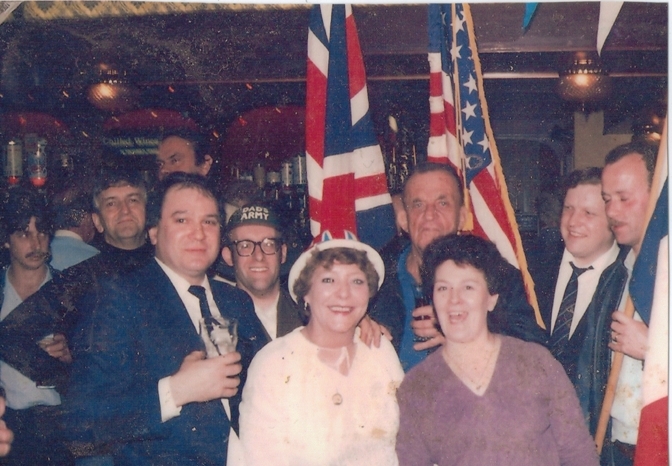 Janice is talking to the Marines. and Alan Thompson of Whitbreads behind. Joe said to Seb "One day you will be a Lord and you should put in a bid for the Olympics!" 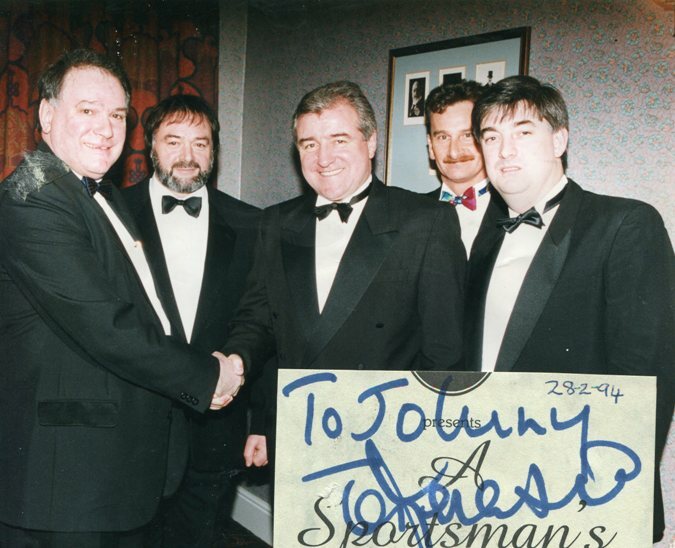 Terry Venables and Johnny pictured above. 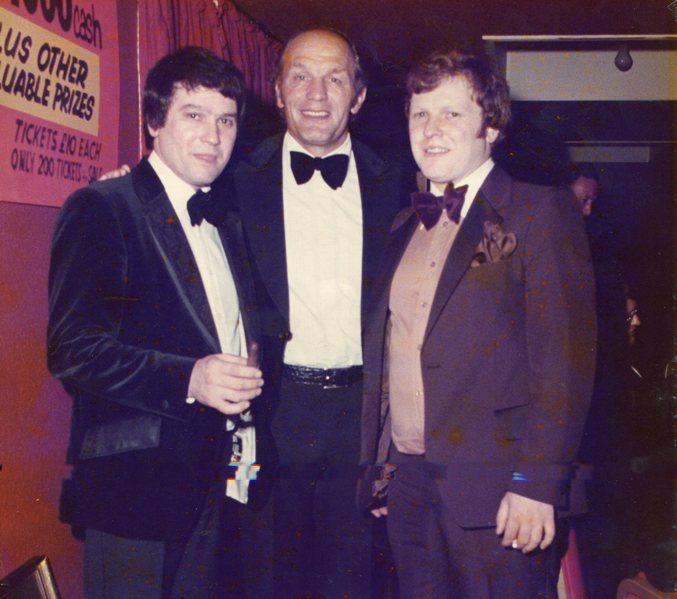 Henry Cooper one of Britain's Greatest flanked by Johnny and Joe. 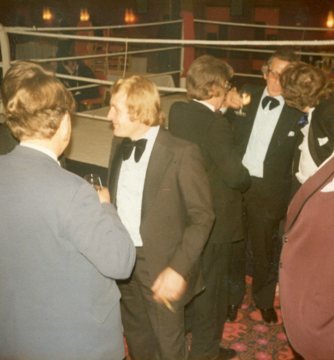 Pre dinner before a charity Gentlemen's Boxing Evening. 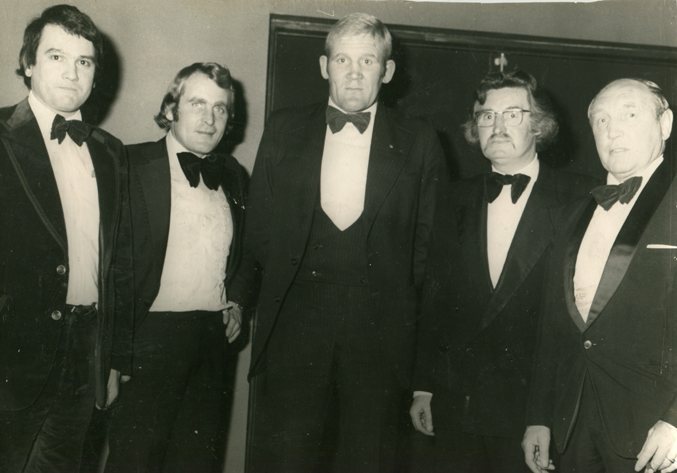 Johnny and Joe were members of the Yorkshire Executive Sporting Club. Ciao Bella! 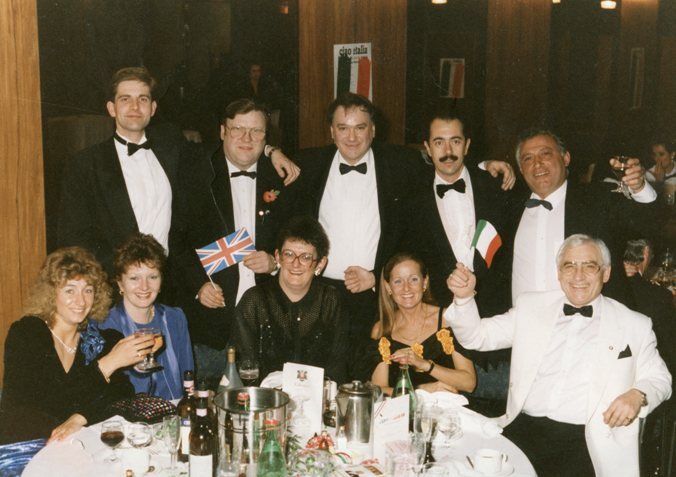 The Italian Restaurant Association hosted a banquet in Manchester each year. 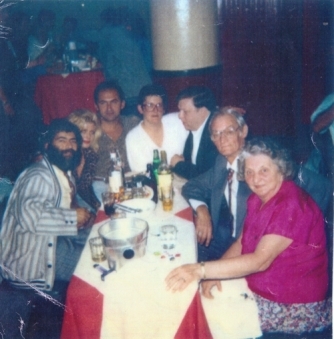 Pictured are Joe and Johnny at the back, seated Angela, Janice, Judith and Nino and other members of the "Pasta Mafia"! 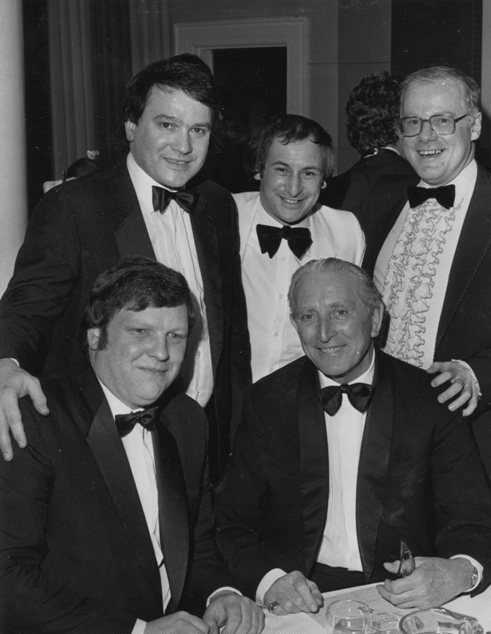 Johnny, Barney Bamforth and Tom Marsden. 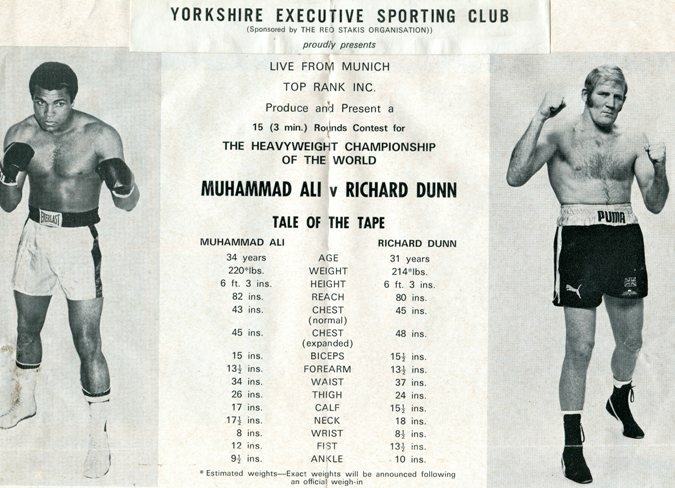 In the middle is Bradford boxer Richard Dunn pictured before his fight with Muhammad Ali. 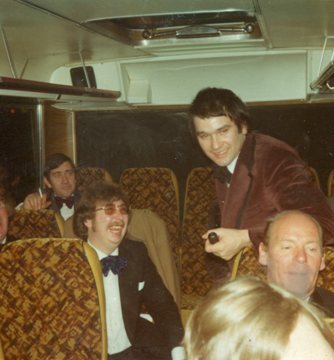 Cousin Robert Marsden and Johnny share a laugh on the way to the Boxing. 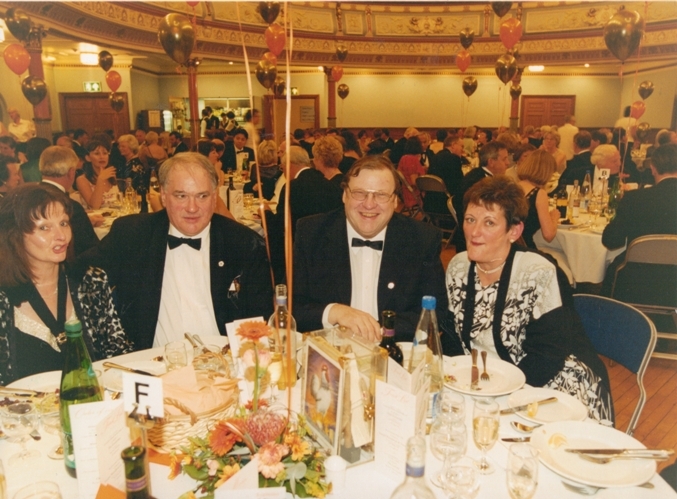 Angela, Johnny , Joe and Janice Marsden at the 150th celebration dinner of the Huddersfield Examiner. 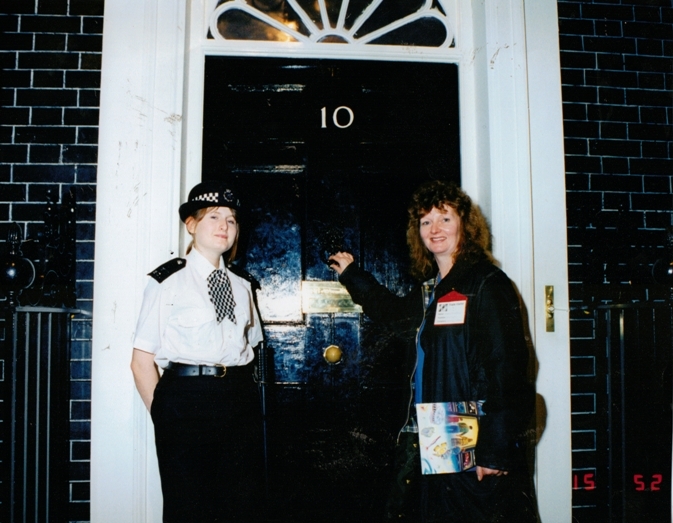 Our local paper was kind enough to invite the family to this prestigious event. 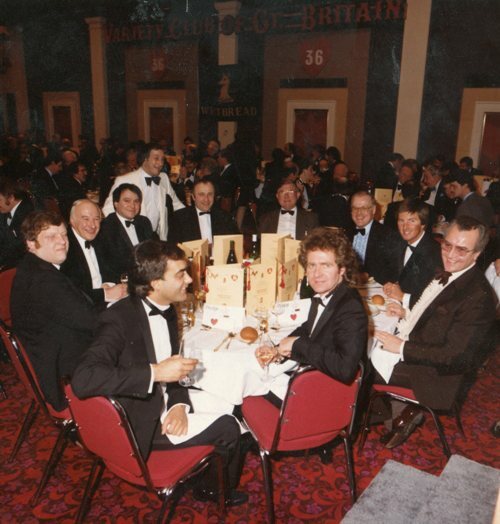 Variety Club of Great Britain, annual dinner 1984. 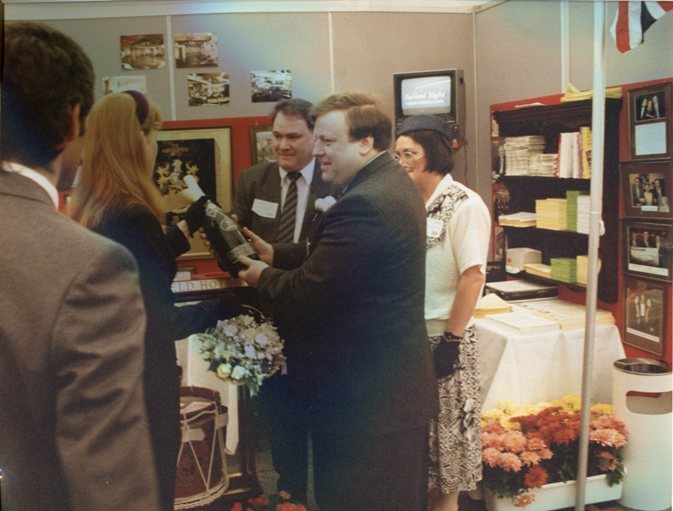 Alan Thompson (Managing Director Whitbreads). 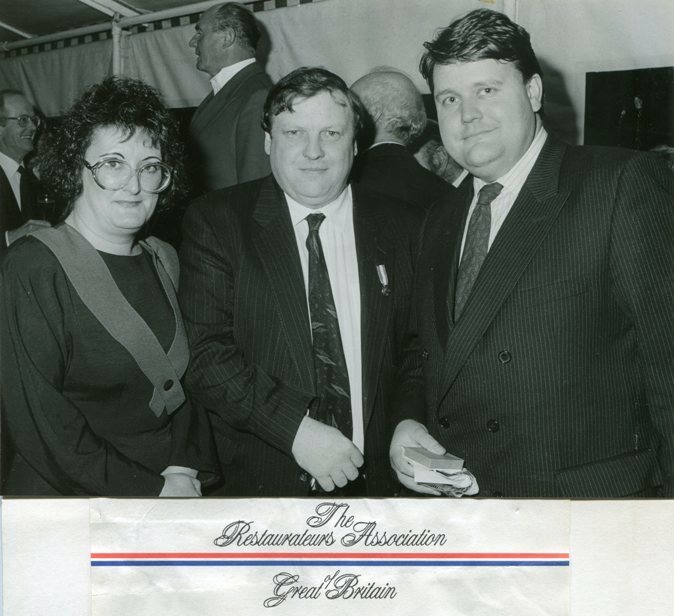 Seated are: Joe Marsden and George Thomas the Speaker of the House of Commons. 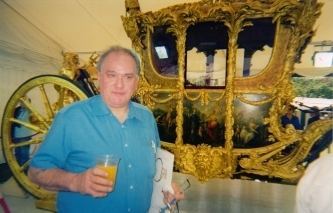 He later became Lord Tonypandy. 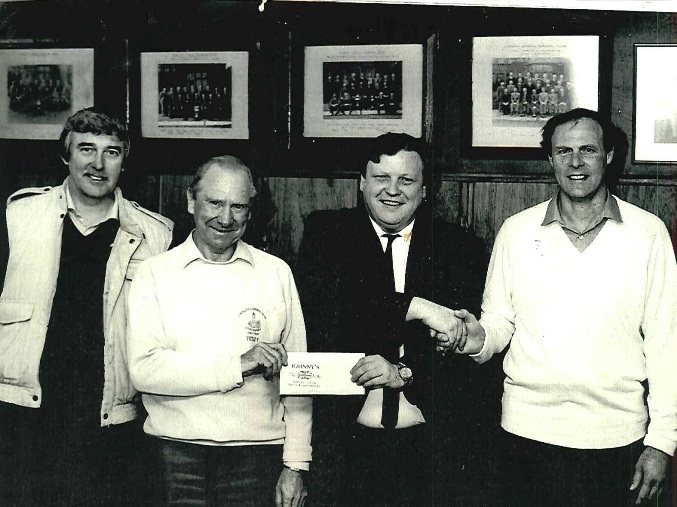 Joe at his local Lindley Liberal Club, handing over sponsorship money to club members. 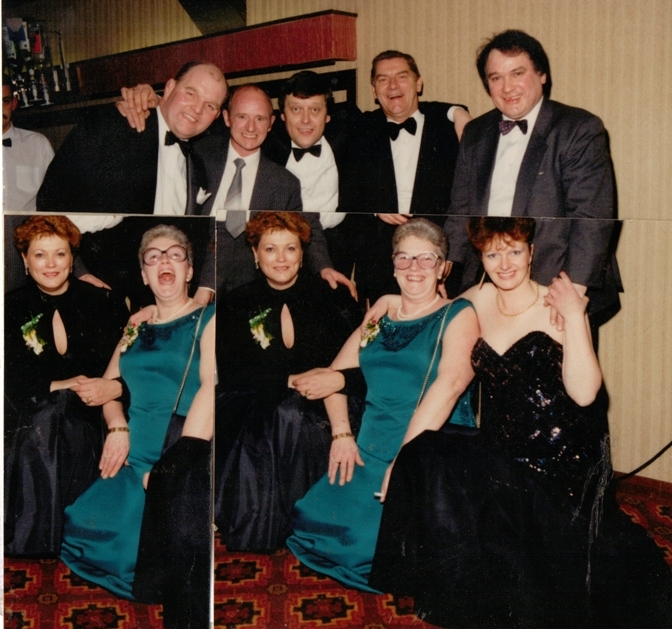 Johnny, Joe, Angela and Janice are pictured with the Rat Pack Tribute Act!. They are Frank Sinatra, Sammy Davis Jnr. 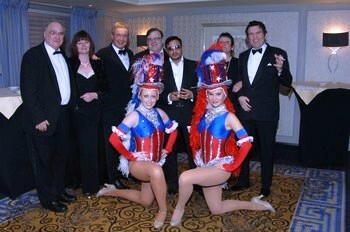 and Dean Martin, along with two Vegas show girls. 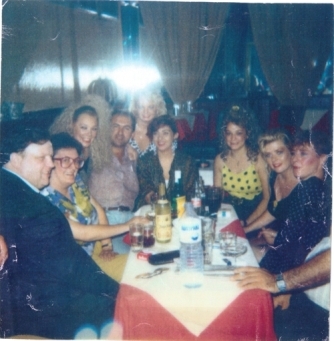 Photos show Joe and Janice with their Greek friends at 6am in a bar in Athens. 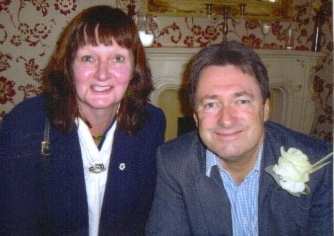 Lord Strathclyde the Minister of Tourism with Janice and Joe Marsden. Joe was a judge at the Young Chef of the Year Competition and has obviously tasted a lot of dishes! And he enjoyed! 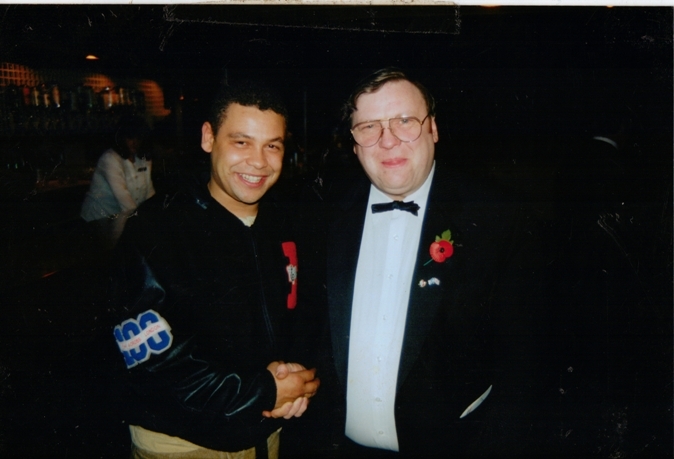 Craig Charles who was then famous for his role in Red Dwarf the Sci-fi series and later went on to drive a taxi in Coronation Street. 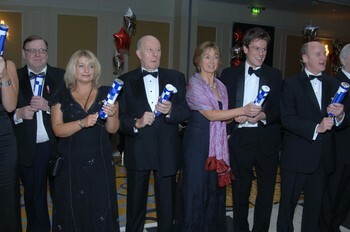 Craig is pictured with Johnny, Janice and Joe at a charity dinner in Manchester. 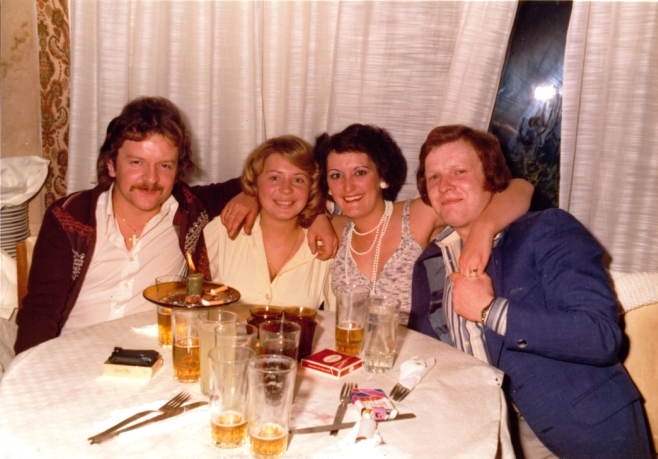 One of Joe's favourite pictures on a family Night Out! 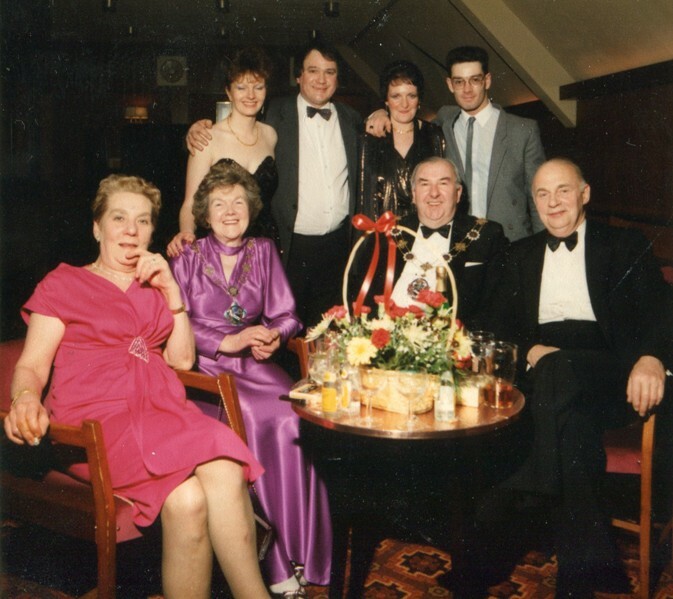 At the back are cousin Peter Marsden and Johnny. 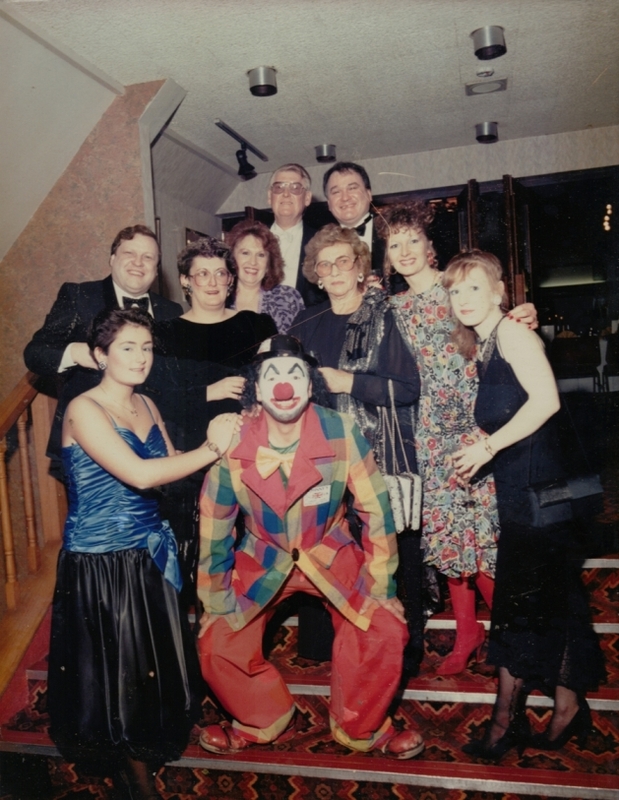 The next row are Joe, Janice, Pat Marsden (Johnny's and Joe's sister), Delia Marsden (the brother's much loved mother), Angela Marsden and Kristi (Joe's eldest child) and at the front Nicola (another of Joe's), Lee Marsden (Joe's youngest) is possibly dressed as a clown or more likely at the bar! 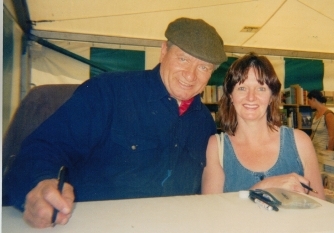 John and Angela with Derek. 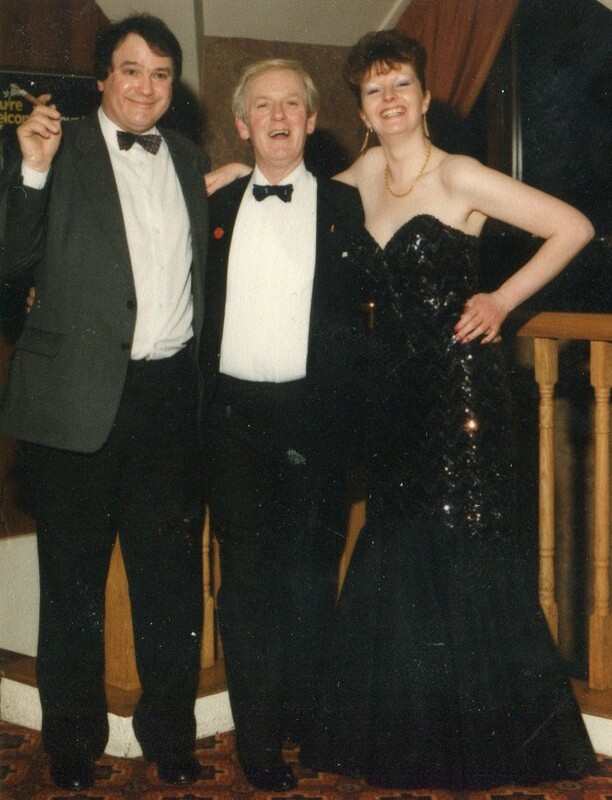 Ken and Derek kept the Royal Oak and then the Ford at Upperthong and both, Ken and Derek, were well known in Holmfirth for their Music Hall Act. 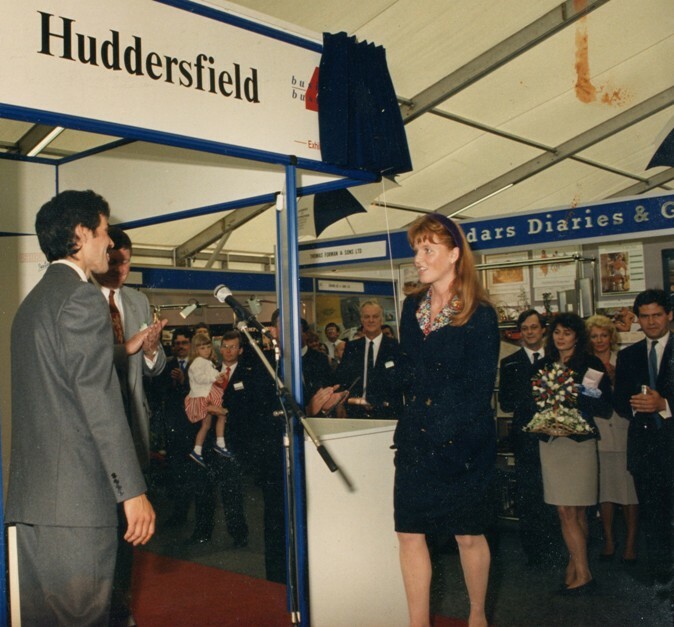 Pictured below after opening a Business Exhibition at Huddersfield Town’s old ground on Leeds Road in 1989. 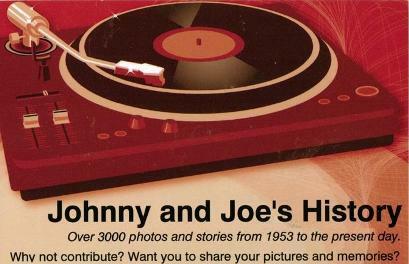 Johnny and Joe had a stand at the exhibition. 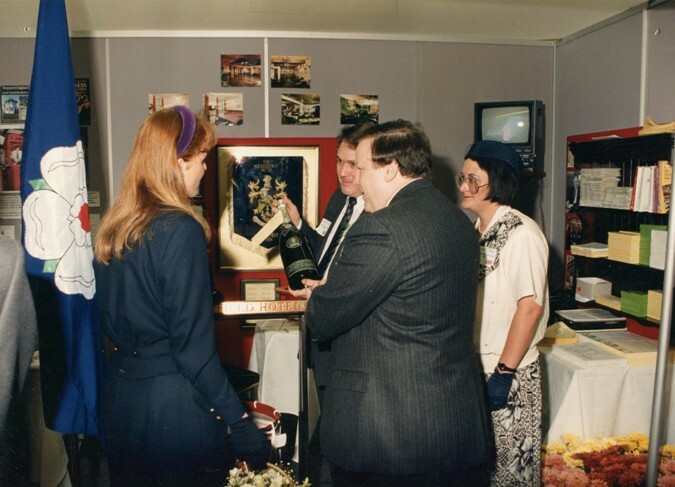 The following two pictures show Johnny, Joe and Janice Marsden presenting a bottle of Moet and Chandon Silver Jubilee Champagne from 1977 for the Duchess of York to give to her Mother in Law, the Queen! 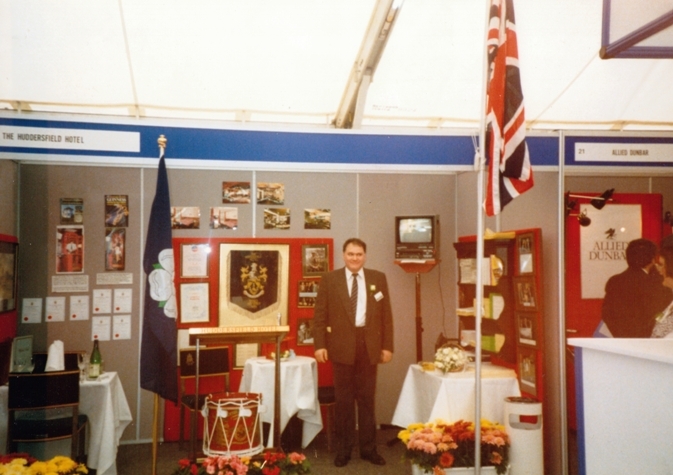 Johnny standing guard at our exhibition space waiting for the Duchess of York to arrive for the official opening. 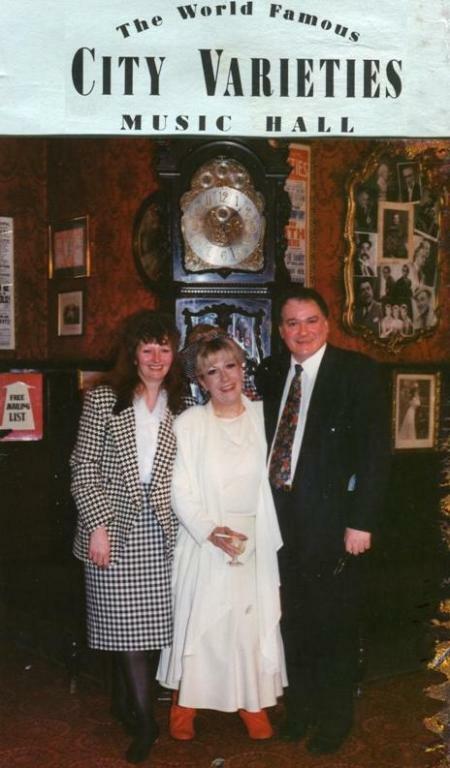 2001121515 - The photo was taken in the famous Circle Bar at the City Varieties in Leeds. 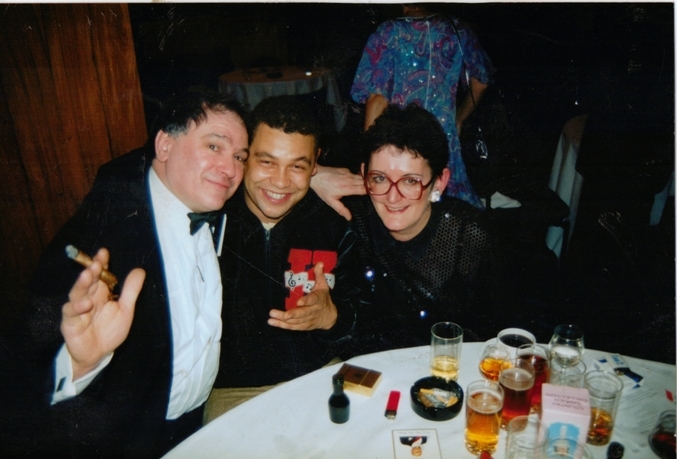 Miss Jean Ferguson with Angela and Johnny. 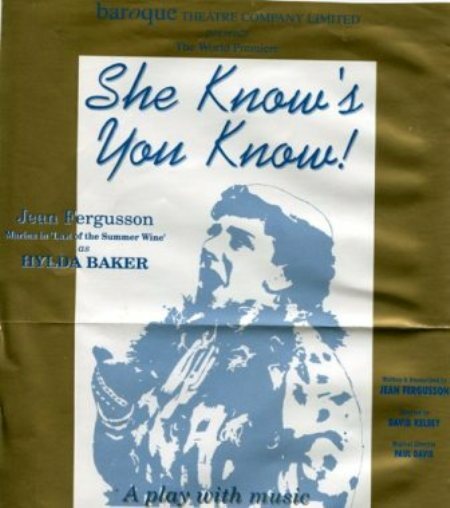 Jean was performing her one woman show of Hilda Baker, "She Know's You Know"! Camping out, Angela awake, Johnny is asleep. 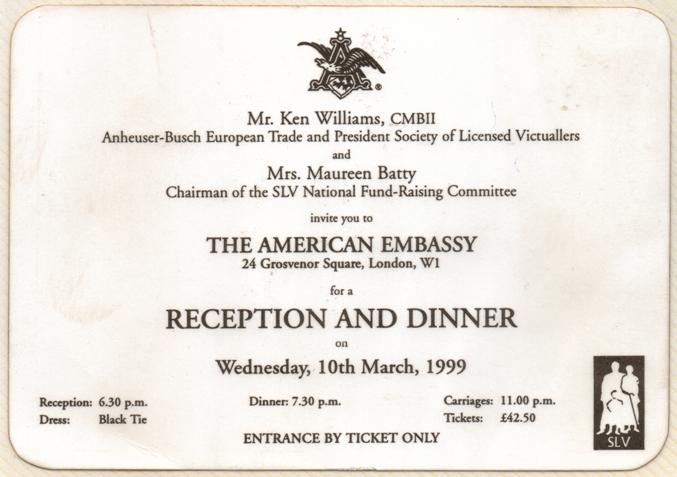 They are on their way from Buckingham Palace to the Abbey.